Some companies require farmers to make expensive upgrades to housing or equipment even before they will work with them. The expense of these requirements is on the shoulders of the farmer, but these upgrades don’t necessarily improve the success of their flocks. Though this may ensure they can work with these companies, there is no guarantee they will make enough profit to pay their debts. Conventional business models create competition between farmers by using a ‘tournament system’ for compensation. With SVO, one farmer’s success is not dependent on another’s loss. All farmers have the opportunity to get out what they are willing to put in, regardless the size of their farm. All SVO farmers are paid up to 50% more than they would make growing for other companies, because we value their hard work and aim to preserve the farming tradition and lifestyle. Conventional companies hire farmers to raise the company’s birds, using company feed and company methods—the farmer only provides the labor and the housing. At SVO, the farmer is fully invested in the process as an owner/operator, making for happier farmers, healthier birds, and a better product. We respect our farmer partners as the trusted experts they truly are—we don’t unnecessarily monitor or micro-manage their farming operation. Our field technicians have good relationships with growers and make service calls when needed, but as long as the farmer adheres to our third-party certification guidelines, they make decisions about how to run their operation. "We feel blessed to be able to grow for SVO. It is so nice to grow a product that we can be proud of. We feel that SVO appreciates the farmer. We like the idea of the farmer being able to have more control growing and putting out a quality product." Many large companies view profit as the bottom line. At SVO, we understand that single-minded farming practices come at a steep cost to the environment. Our farming partners are routinely audited by trusted third-party certifications, and the combination of these standards work together to benefit the health of the farmers, the animals, and the environment. Buying Organic chicken is not only about enjoying the quality of the end product—it supports a chain reaction of sustainable practices that surround the production of Organic chicken. Certified Organic/non-GMO chicken farming supports Certified Organic/non-GMO agriculture—which means the folks producing all-veggie organic chicken feed are not exposed to toxic pesticides. It clears more of the earth from genetically engineered plants and synthetic fertilizers. The lands surrounding Organic chicken houses are free of pesticides, and so are the wild grasses and bugs in their pastures. Each farm that converts from conventional to organic is creating demand for agricultural conversions, and that’s the kind of large-scale impact we can get behind. 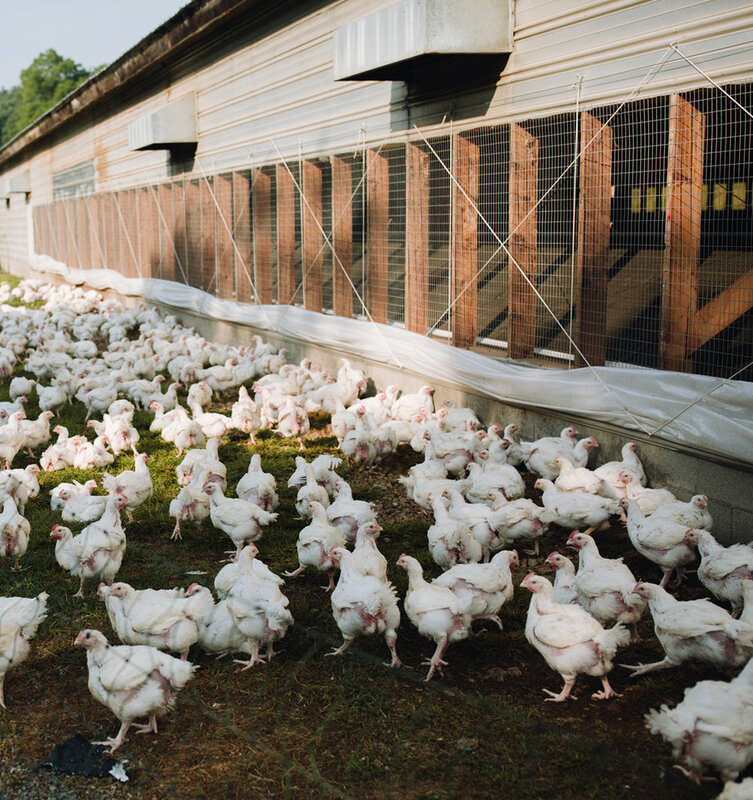 SVO chickens are raised and processed by high standards outlined by Certified Humane and Global Animal Partnership. Standards like reduced-density housing, easy access to outdoor grassy pastures with shade structures, environmental enrichments that encourage natural chicken behavior (like roosting, or scratching in the dirt), windows for natural light and lights-off resting time. These audits help us keep ourselves accountable, and we can assure our customers that SVO farmers surpass minimal requirements and raise all their chickens this way. 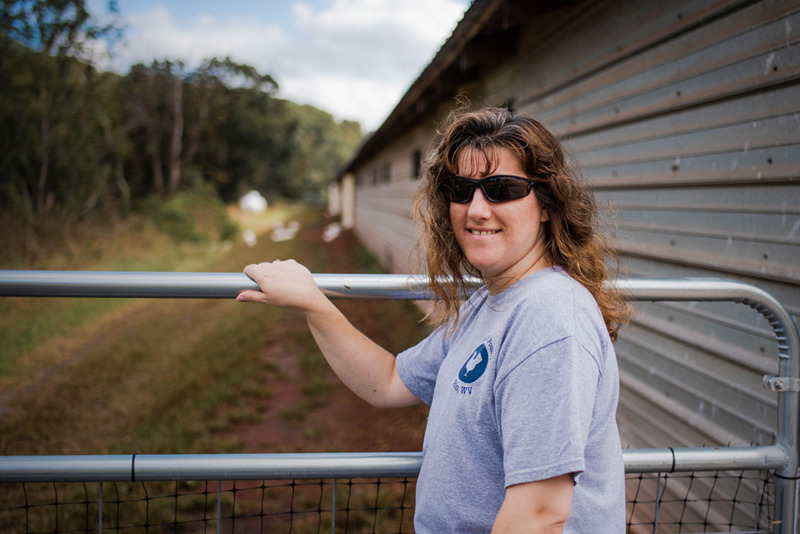 Many of our farmer partners work with us because our contract gives them the option to use existing structures on their land as chicken houses, without expensive and often unnecessary upgrades other companies may require—like cool cells and tunnel ventilation. Use of natural light: By adhering to the certification standards, SVO farmers use plenty of natural light throughout the day, and a minimum of 8 hours of darkness each night, as part of their sustainable lighting program, which reduces the need for electric lighting much of the time, and promotes safe and healthy growth rates for the chickens. SVO Farmers and chickens alike are safe from pesticides or herbicides being sprayed in or around the houses and pasture access areas. When companies require growers to keep “built up litter” (a method used to keep conditions drier in the colder months), they often use other caustic chemicals in order to keep ammonia levels down. Reduced density housing means fewer birds in a single house. Not only is this better for the birds, but it makes the farmer’s job easier and safer when walking the houses. Farmers have the freedom to clean out their houses thoroughly after each flock, which are then left empty for 21 days to keep harmful bacteria at bay, ensuring the next flock can be as healthy as possible.